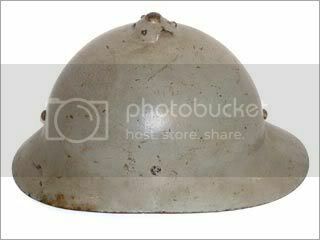 This model helmet was designed for use by the Russian army in the First World War and was produced at the Sohlberg factory but the revolutions of 1917 resulted in an independent Finnish state. The Reds in both the Finnish and Russian civil wars may have used these helmets in small numbers, along with a Russian produced version of the same helmet. These helmets were later used in various East European states including Poland, Czechoslovakia and Romania. The Polish army likely used this particular example, possibly in their new armor divisions suggested by the gray color. 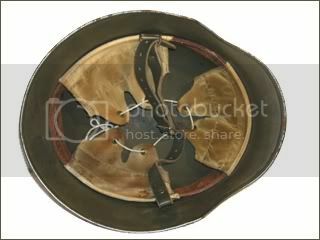 This helmet features a retrofitted three pad Polish style liner. This Finnish helmet is of Hungarian origin. 75,000 helmets were produced and imported to Finland. 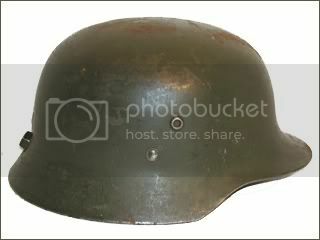 This particular helmet features a retrofitted Finnish liner and chinstrap was repainted for use by the Finnish army, likely post 1945.